Illustrator Nik Nevesis a multi-time winner of the Latin American Ilustración competition and has been featured here previously. 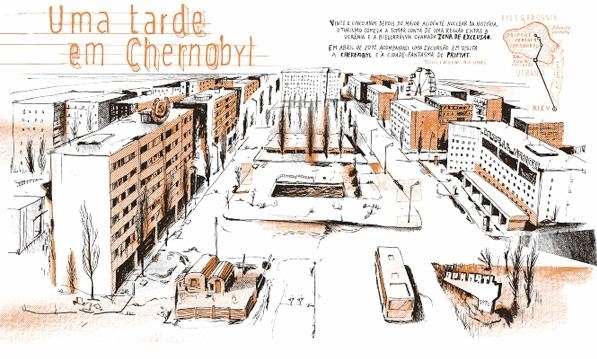 Today DFLA spotlights the LAI-winning artwork he created after visiting the ruins of the Chernobyl Nuclear Power Plant in Ukraine, site of a historic catastrophe in 1986. 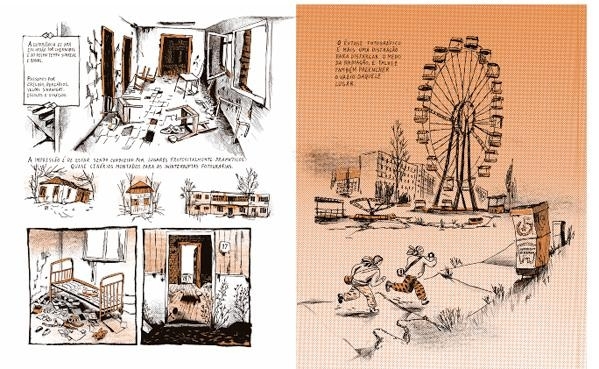 That Neves was visiting Chernobyl and the abandoned nearby city of Pripyat is not necessarily surprising: At his website, the Brazilian illustrator refers to himself as both a “designer and traveler.” Born and raised in São Paulo, Neves did graduate work in illustration at EINA University School of Design and Art in Barcelona as well as the School of Visual Arts in New York City. In recent years, his wanderlust has led him to live in Munich, Germany and London, a city that inspired another Latin American Ilustración-winning work from Neves. But even he admits that the idea of going to Chernobyl and Pripyat as a tourist looks in retrospect like an odd decision. 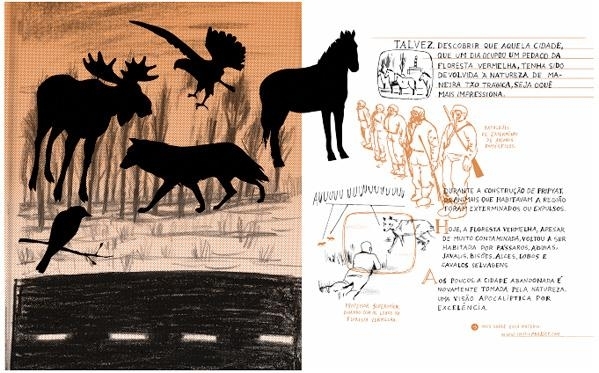 “The whole ‘touristic’ thing around a terrible accident is by itself a bizarre idea, and I tried to present all my contradictory feelings about me and the place in my own way,” says Neves of the artwork inspired by the trip. Neves’s way is through comics-styled sequential reporting. 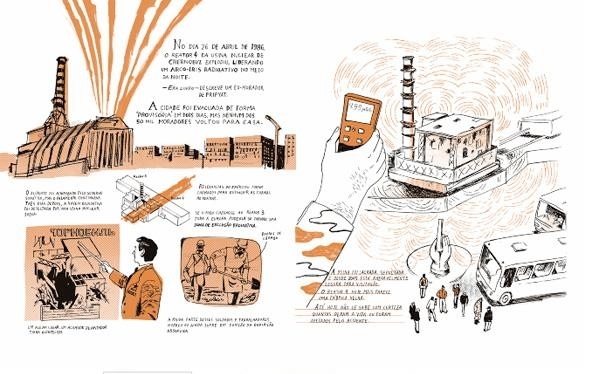 His illustrated essay was later published by +SOMA magazine in Brazil. The work can be seen at an online magazine created by Neves called Project Useless.